Bursa 2nd and 10th Assize Courts have sentenced 10 lawyers to long imprisonment after two-year trial. Members of Bursa Bar Associations BUGRA BUYUKEREN, HILMI SARI, MEHMET ISIK, MUSTAFA YELBEY, OKAN GOKALP, MUSTAFA GÜLEÇ, MEHMET SÖNMEZ, MUSTAFA CANBAZ were sentenced to six years and three months in prison while lawyers ALI HASDEMIR, CAGATAY AYGUN were first one year and seven months under the article 314/2 of Turkish Penal Code that punishes membership to an armed terrorist organization. There has been a relentless campaign of arrests which has targeted fellow lawyers across the Turkey. In 77 of Turkey’s 81 provinces, lawyers have been detained and arrested on trumped-up charges as part of criminal investigations orchestrated by the political authorities and conducted by provincial public prosecutors. 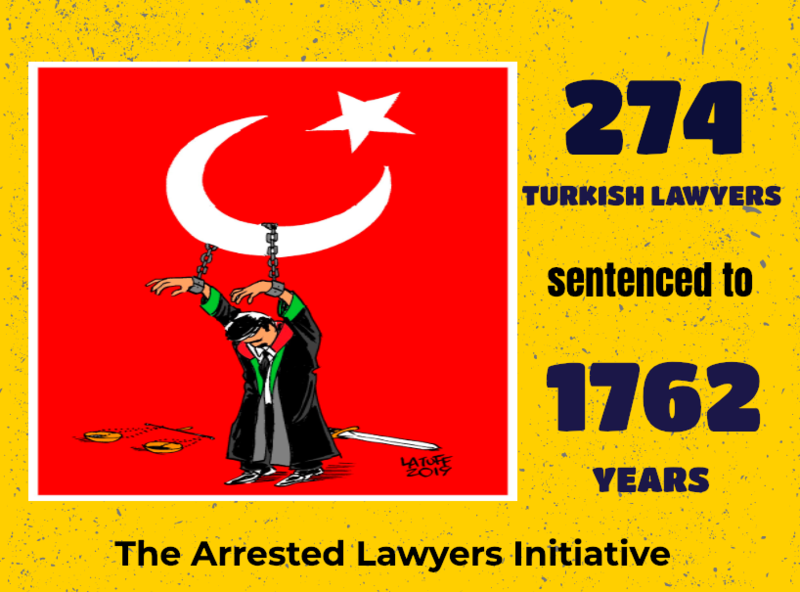 As of today, 593 lawyers have been arrested and 208 lawyers were sentenced to long imprisonment. Some of the arrested lawyers were subjected torture and ill-treatment.